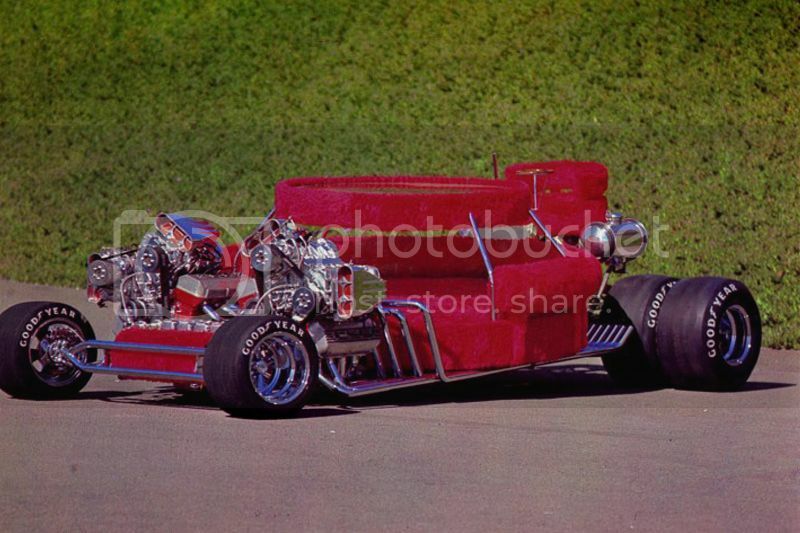 Back in the late 1960s and early 1970s, custom cars with weird and wild themes were being built by builders who had wild and vivid imaginations. 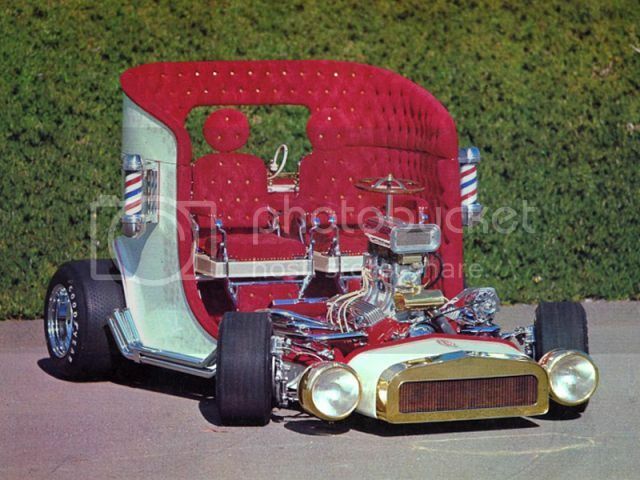 While George Barris was building coaches like the barber shop inspired creation above, other builders were taking themes to extremes and putting hot rod engines in cars that depicted anything from the throne to an outhouse, a bedroom to a bathroom, and a milk truck to a popcorn truck. 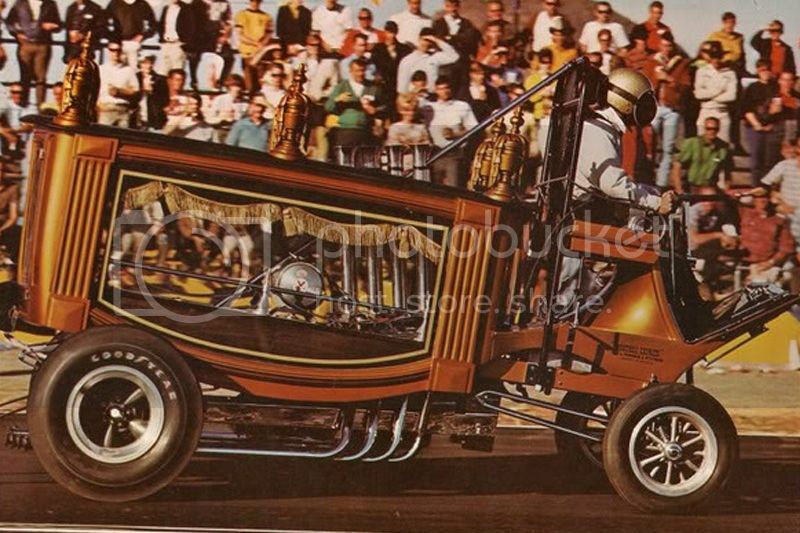 Of course, if you lived through those decades, some of these wild customs were at shows like “World of Wheels” and some made their way into plastic scale models of the roadster. 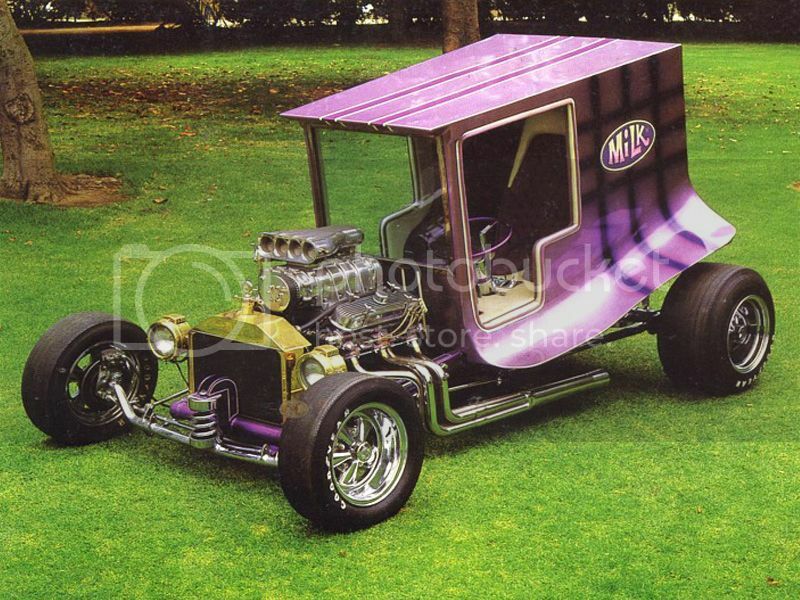 Many of the custom roadsters even began as a weird creation in 1/24th scale plastic and the challenge was on to make a full size custom show car out of it. 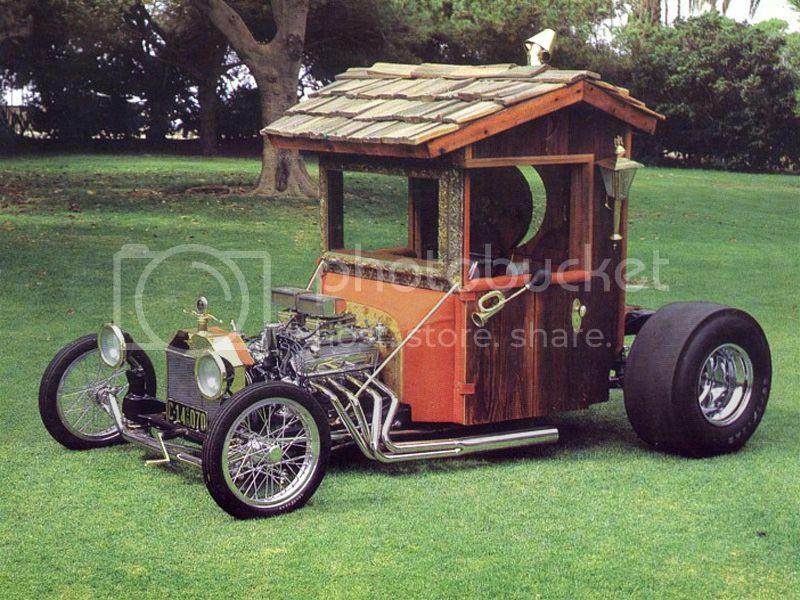 We always thought these weird creations were cool in their own sort of way, and most were no where near street legal – some weren’t even drivable other than at a snails pace. But then some of them were fitted with things like blowers, dual quads, even dual engines, and they could smoke the tires off the rod. Most of us can’t imagine doing things like this today, we’d pass it off as silly and nonsensical. But is it really that far removed from what we’re doing with cars today? Probably so in the most extreme sense, but think about it for a minute: we have people stacking blowers – it was done in the ’70s on some of these customs. Big fat tires – it was done. Strange and bright colors – done. Chop, channel, slice and dice – done. We actually do have some crazy vehicles being built today, they just aren’t so far in outer space like they were back then. Thankfully. When was the last time you saw someone put something funky on a car and call it a custom build, yet most of the rest of us called it a disgrace? We’re talking more than putting an SBC in a Ford, we’re talking about cars like these. Some are pretty cool, some are, well, not so much – like the car below. In an eery Rod Serling moment, these cars are submitted for your approval and bring you back to a time when anything that you could dream up was possible. 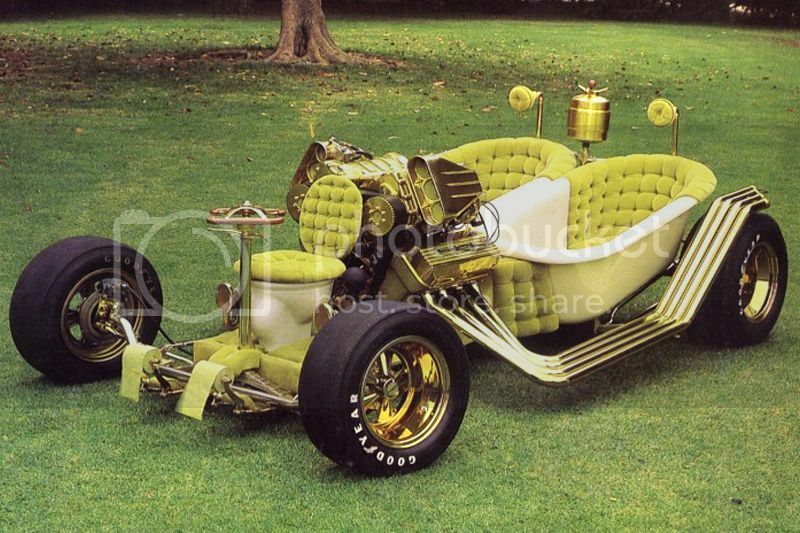 A time when nobody would think to tell you that putting a toilet in a street rod as the driver’s throne was ridiculous. 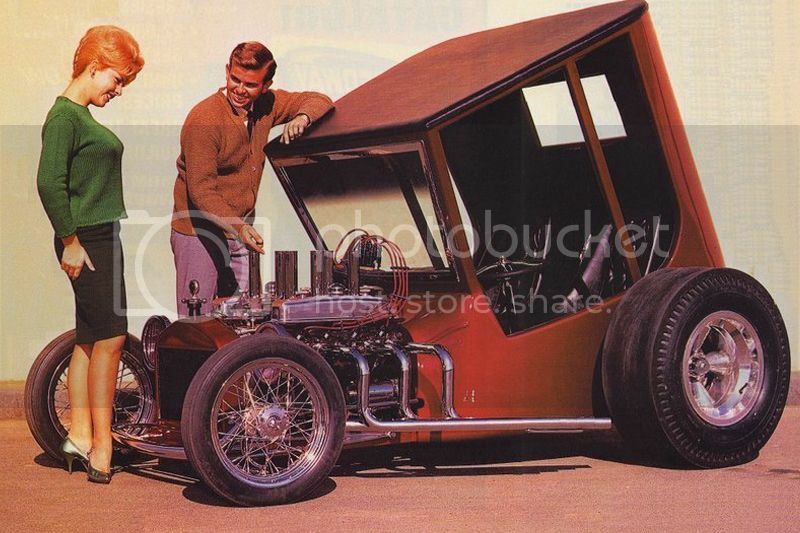 A time when hot rod engines were a way of life for some people. A time that we called, the seventies. At least people were thinking outside the box, or should I say from inside the toilet? At least people were thinking of getting virility ex outside the box, or should I say from inside the toilet? 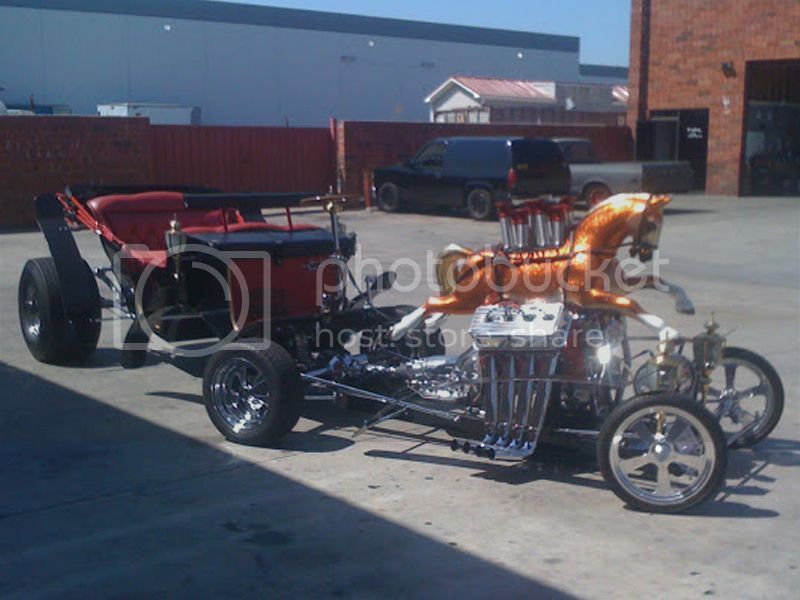 These are all so strange but I'd love to drive them all lol.